This sign dates back to the 1950’s, and boy can you tell with the unique angles in the sign and the colors. The colors are a teal and creamy white. Towards the top of the sign is a large diamond that uses teal lines to highlight the facets of the diamond. 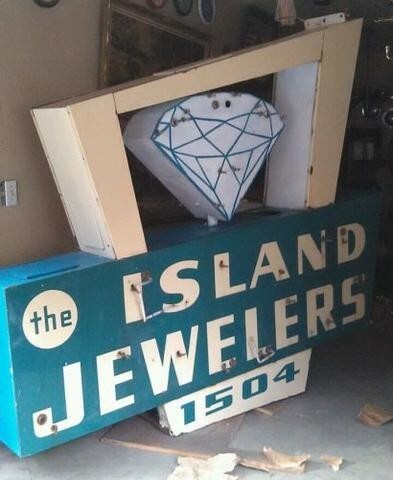 Below that is text that reads “the Island Jewelers 1504.” The neons run over the text to highlight the name even at night.